Learning is a lifelong journey — an adventure of asking questions about God, the Bible, ourselves and our world. St. Luke's encourages our members and friends on this journey and offes educational opportunities through our Adult Education program, each September through May. This includes (but is not limited to) Bible study, book study, lectures, and workshops. Our Adult Education courses offer lively and challenging discussions in a small group setting, with inspiring and stimulating guest speakers who are experts in their fields. 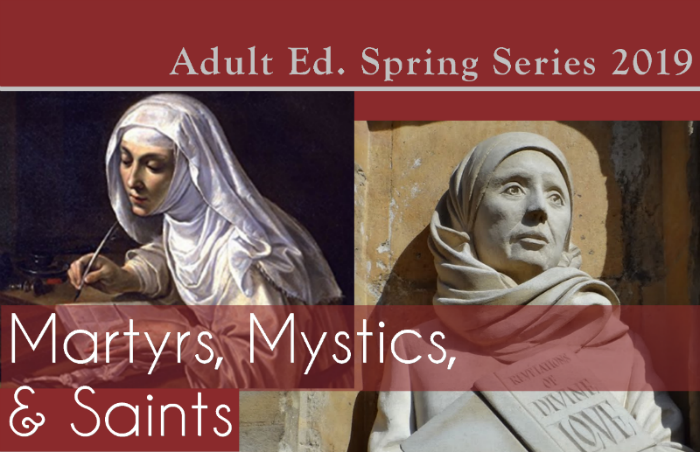 Recent series include an in-depth examination of the Reformation and Anglicanism, exploration of the sacred texts of Islam and the Qur'an, the Book of John, Women in the Bible, and the Psalter (Book of Psalms). No class on February 18, April 15, or April 22.